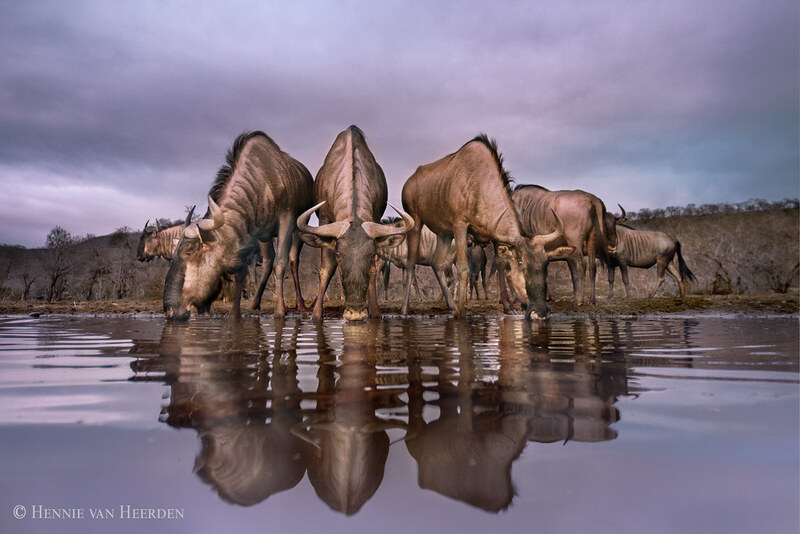 Nature enthusiast Hennie van Heerden is changing the game (and hunting it!) with her remarkable wildlife photography. Holland-based Hennie joined Flickr in 2006. The tight-knit community and lengthy constructive comments inspired a more profound need for photography. The next four years were spent working on her photography and honing her skill set on her time off from work. In 2010, she quit her job of thirteen years as assistant to the CFO of an international holding company and decided to do what truly made her happy. Now she travels the world with her fellow photographers each taking turns picking the next country. Jealous yet? Don’t be! 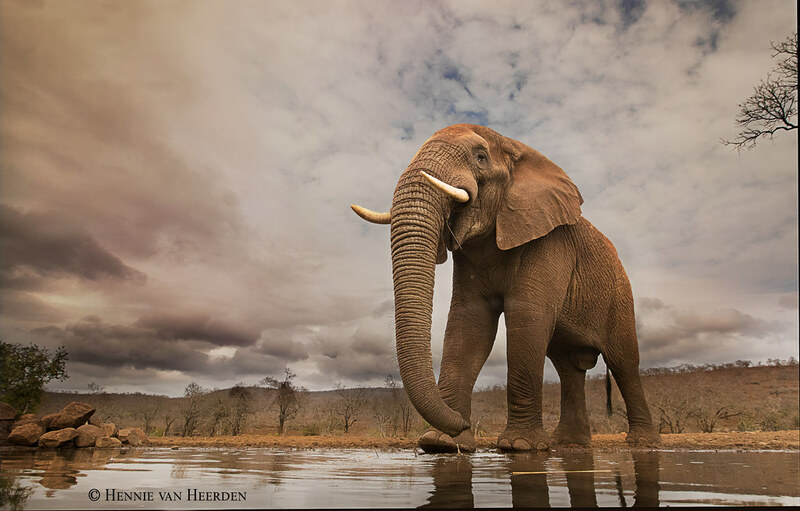 Hennie lives on the wild side many of us wouldn’t be able to cope with. 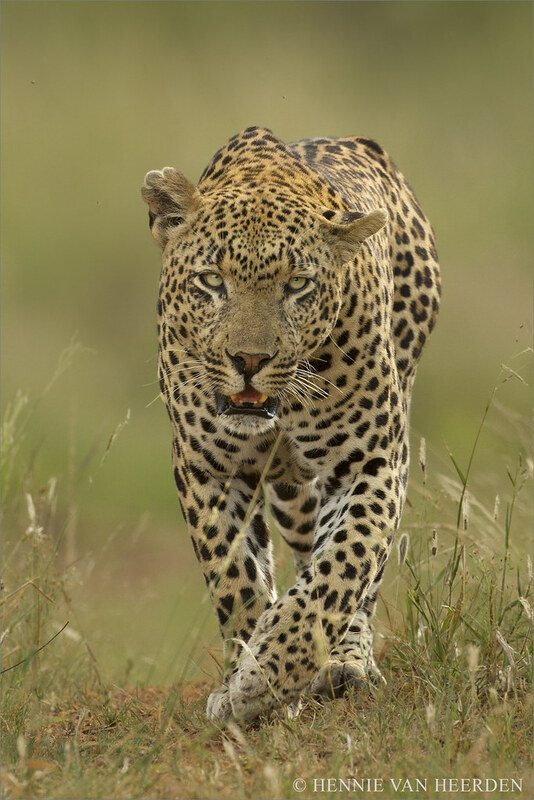 She makes frequent trips to Africa where she often makes the acquaintance of her favorite animal—the leopard. The picture above encompasses her belief in “the more eye-level photography, the better”. 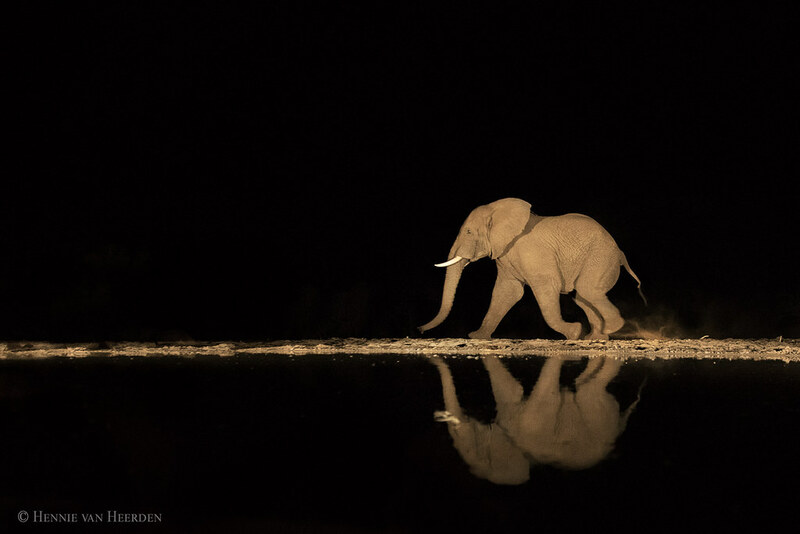 When on the African reserves with a guide, she always asks to keep her distance from the animals because the telephoto lens will create an eye-level effect with a blurry background, and with more distance comes more ease from the animals. Animals are often stressed when visitors drive too close, which makes for unnatural pictures. Another helpful tip when composing night photography isn’t what you would expect. Most people who are technically trained would try to keep the noise out of the photo by keeping the ISO as low as possible while still maintaining a high shutter speed. In reality, you should do the opposite! Turn that ISO up and don’t be afraid of the grain because it will mostly show up in the darker spots of the image. The above photo of the elephant was taken at an ISO of 3200 with a 1DX which typically performs fabulously with a high ISO setting. The photo below was taken at 5000 ISO. 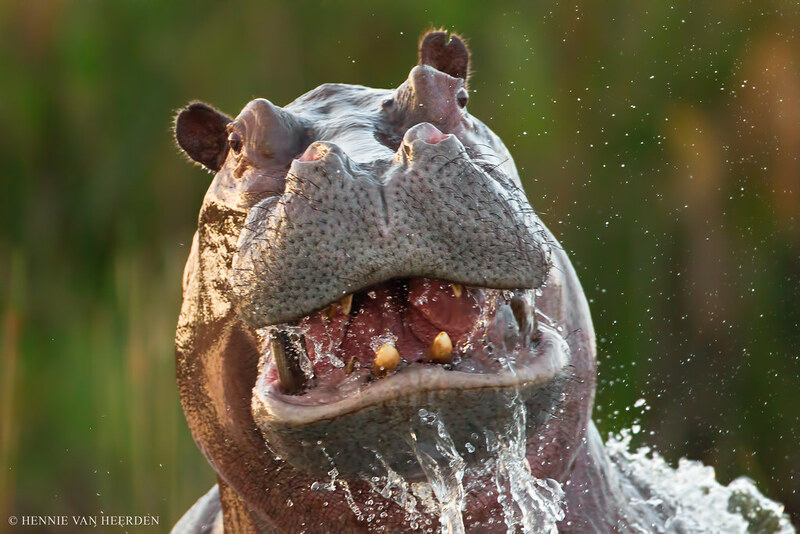 Hippos are responsible for more human fatalities in Africa than any other animal, but this never stopped Hennie from getting the good shots, as she was raised on a farmhouse with cows, chickens, pigs, and other animals. This was the pre-PlayStation age, when the minds of children still craved adventure and thrill. It’s this beginning that inspired Hennie’s love for nature photography. “Ranger Dean and I decided to go out at midday —when all the sensible guests take a nap— and drove towards a deep dry riverbed when all of a sudden one of the Stix lionesses came down into the riverbed. We were in a Landrover; no windows, no roof, and no door on the ranger’s side. She came down towards us, and we were more or less stuck; couldn’t go backwards because of the loose sand and the very steep descent into the riverbed and couldn’t go forward because there she was. To make matters a bit more exciting she appeared to be in heat, a fact that hadn’t gone unnoticed to one of the most notorious male lions I’ve ever known: Mohawk. After receiving an incredibly detailed script and a legitimate business class ticket to Japan, she realized that this was far from a con. After two trips, three weeks in Japan, and accompaniment with two Eurasian Eagle Owls on a volcanic island south of Tokyo, the commercial was complete. And it’s been aired for a year and a half on Japanese television! Canon Japan approached nine other pro-photographers, but someone in the department knew Hennie’s Flickr site, and after presenting it to Canon’s CEO, she was chosen. After such an experience, Hennie realized office work wasn’t for her. 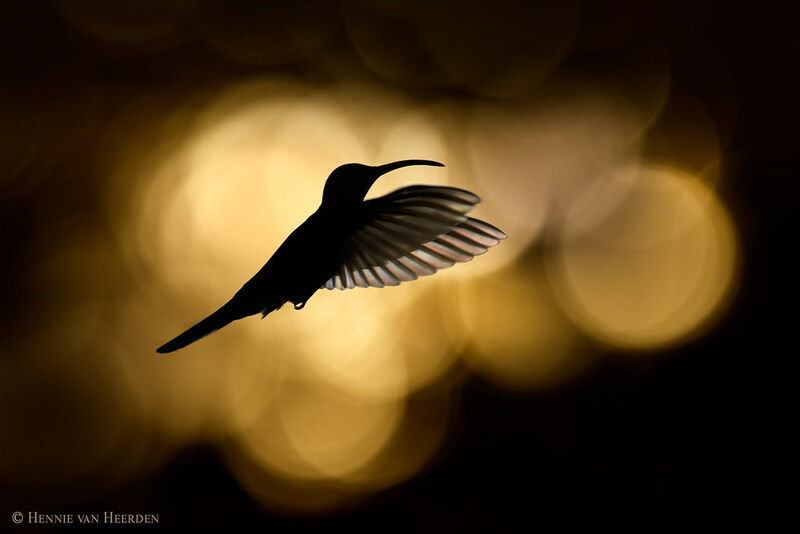 She’s now the chairwoman of one of Holland’s largest nature photography associations which annually hosts the biggest Photo Festival in Belgium/Holland. Hennie also hosts private workshops in South Africa upon request so next time you’re in the area, make sure to look her up!